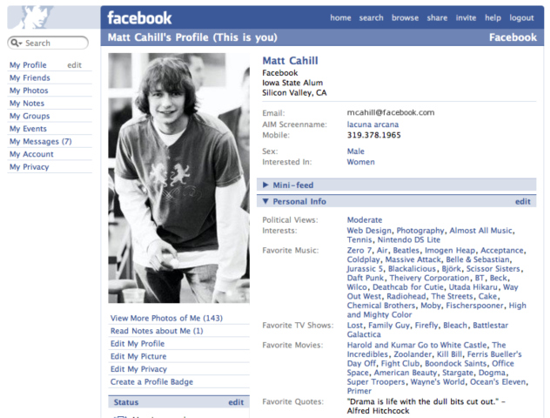 Features: "Facemash", the Facebook's predecessor, was initially limited by the founders to Harvard students. Set up as a type of "hot or not" game, it allowed visitors to compare two student pictures side-by-side and let them choose who was "hot" and who was "not". 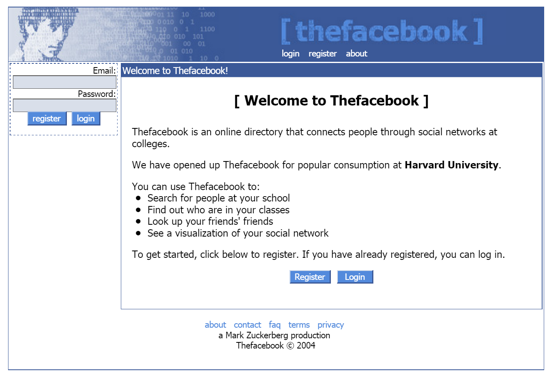 On February 4, 2004, Mark Zuckerberg launched "Thefacebook". The social networking service gradually expanded to the most universities in Canada and USA. On August, 2005, the company dropped 'The' from its name, and on September 26, 2006, Facebook was opened to everyone at least 13 years old with a valid email address. Facebook develops some of the core social infrastructure that would come to define the user experience for many years to come, starting with photos and the ability to tag friends in them (October and December 2005), Facebook's News Feed (September 2006), and then proceeding to Facebook Platform in May 2007, an attempt to get developers to create applications for use within Facebook. Interesting facts: Initially, to create his "Facemash", Zuckerberg hacked into protected areas of Harvard's computer network and copied private dormitory ID images. Harvard did not have a student "Facebook" (a directory with photos and basic information) at the time, although individual houses had been issuing their own paper facebooks since the mid-1980s. Facemash attracted 450 visitors and 22,000 photo-views in its first four hours online. The site was shut down a few days later by the Harvard administration. Zuckerberg faced expulsion and was charged by the administration with breach of security, violating copyrights, and violating individual privacy. Ultimately, the charges were dropped. 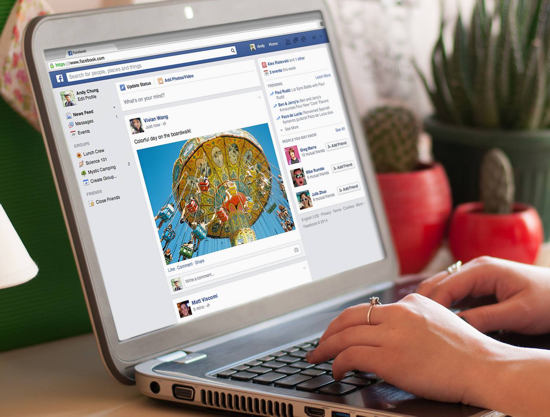 Zuckerberg expanded on this initial project that semester by creating a social study tool ahead of an art history final. He uploaded 500 Augustan images to a website, and each image was featured with a corresponding comments section. He shared the site with his classmates and people started sharing notes. 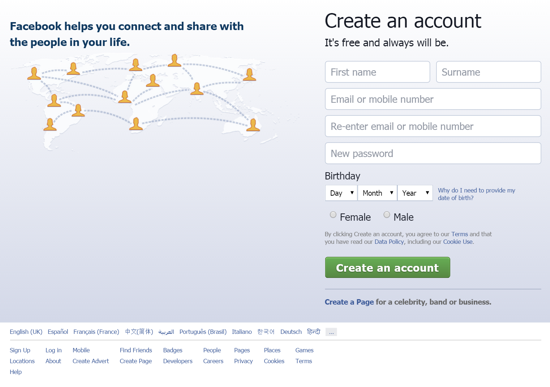 Slogan (2006): «Facebook is a social utility that connects you with the people around you». 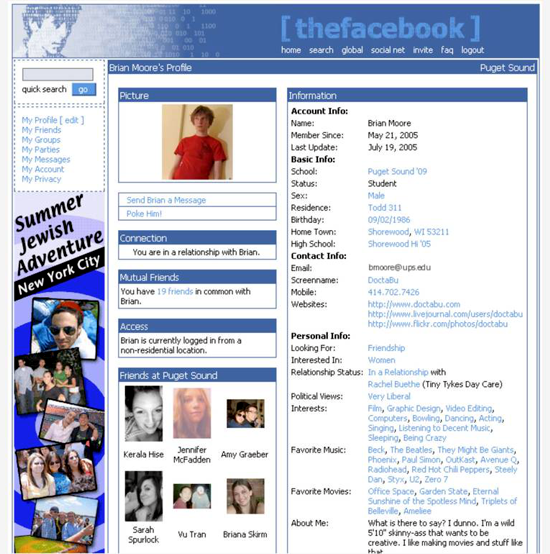 Thefacebook home page (2004). At the top-left corner, the face of Peter Wolf, the American musician best known as the lead vocalist for the J. Geils Band. Top: Mark Zuckerberg (May 14, 1984, programmer), founder of Facebook, in his Harvard dorm room, 2005. From bottom-left, the co-founders: Dustin Moskovitz (May 22, 1984, programmer), Eduardo Saverin (March 19, 1982, entrepreneur), Andrew McCollum (December 26, 1979, graphic artist), Chris Hughes (November 26, 1983, entrepreneur).